Sam Allardyce could be confirmed as the new manager of West Ham United as early as tonight, reports Jason Burt, as the Hammers board successfully changed the 56-year old's mind about turning his back on English football management. Allardyce had considered either retirement or taking up a lucrative offer to coach in the oil-rich Middle East, after he was sacked by Blackburn's new India-based owners last December. Instead, he has agreed terms to succeed Avram Grant and will earn a £1 million bonus if he returns the club back into the Premier League from the Championship next season. It is revealed by the Telegraph that two days after Grant was sacked West Ham United contacted Allardyce and told him the job was his if he wanted it. At that time the club also considered other candidates — such as Cardiff City’s Dave Jones and Norwich’s Paul Lambert — because there was a fear that Allardyce would not want to drop down to the Championship. Martin O’Neill has also been contacted and there were rumours last night that he was not completely out of the picture although West Ham sources played this down. Writing in today's Express, Colin Mafham insists the club's board is in turmoil over the imminent appointment as owners David Sullivan and David Gold and managing director Karren Brady are all believed to be still split over who should get the job. Sullivan is understood to prefer Jones, Gold is strongly backing Allardyce and Ms Brady is understood to favour a second bid to land O’Neill. That said, meetings with Allardyce have progressed positively and he has been confirmed by insiders as their compromise first choice. West Ham came close to appointing the former Rovers boss in January, when they instead offered the job to O’Neill, and it is understood that he hugely impressed co-chairman David Sullivan at that time and was disappointed not to be their choice. The club’s owners accept that a significant overhaul of the squad is needed and that a strong-minded manager such as Allardyce will be able to make the changes that are needed on and off the pitch. This has over-ridden any concerns over the manager’s style of football and in doing so recalls a classic Mephistophelean morality tale; that sometimes the price of success is one that West Ham fans – the average, the normal, the unchosen – would not wish to pay. The 'triumph' for West Ham is in persuading him to go back into the Championship but it is believed that Allardyce, who still harbours hopes of one day becoming England manager, thinks that restoring the fortunes of a London club might help his cause. 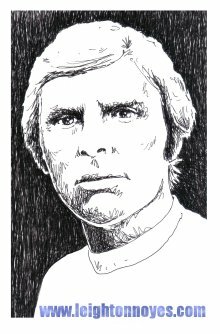 He also accepts he may have to modify his direct style of football, says Burt, as the controversial long-ball tactics are anathema to everything the East Enders are famous for. Even as I type these words there are those with a fundamentalist belief in passing the ball to each other- the vanguard of the 'West Ham way'- conducting a pitchfork vigil outside the Boleyn turrets. 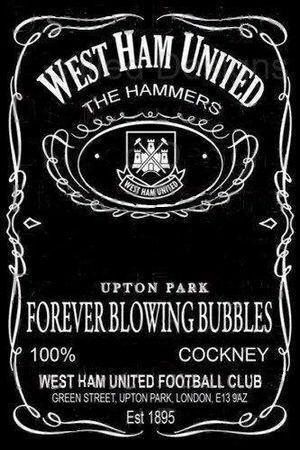 They know the Hammers have a proud reputation for doing things in a certain style while producing a constant supply of dazzling young players; they are the votaries carrying the torch for the Church of Greenwood: "The crowds at West Ham have never been rewarded by results but they keep turning up because of the good football they see. Other clubs will suffer from the old bugbear that results count more than anything. This has been the ruination of English soccer." Greenwood's personal epiphany came on a dank November afternoon at Wembley in 1953 when Hungary's Magnificent Magyars trounced England 6-3 in a display of football the like of which the world had never seen. It changed Greenwood's philosophy of the game. Within a decade West Ham, the club he now managed, were imitating the best bits of Ferenc Puskas and Sandor Kocsis, sweeping the ball around in intricate patterns, and winning the FA Cup, European Cup-Winners' Cup and providing the backbone of England's successful World Cup-winning side. That style continued to evolve over the years, and the name of West Ham became synonymous with open, attacking football. It didn't always show itself in results, but it was pretty to watch for those who preferred aesthetics. Yet there are no heresies in a dead religion. It has been several tawdry years since the Hammers truly produced the kind of football that Greenwood would have recognised. Years of moral and near literal bankruptcy; of failed foreign takeovers, transitory managerial tenures, nefarious transfer dealings and squalid court cases. Years when sensory values have been ablated by pragmatism and greed and burnt at the altar of Premier League survival. Now even that has gone. A surprising 73 per cent of relegated clubs fail to return to the Premier League at the first attempt, despite the parachute payments that cushion their fall. The reckless buying, the false promises over investment, the crippling liabilities – and also the terrible costs of the Carlos Tévez affair. There are still two instalments outstanding on the £21 million the club were ordered to pay Sheffield United while "exceptional items" – compensation and legal fees – in the past four years have totalled a staggering £51.1 million. Sullivan has spoken of a £20m-£40m loan he and Gold will need to make next year to keep the club going. Despite putting cost-cutting measures in place, which have saved an estimated £25m, the debts still stand at £80m, with Sullivan admitting that "this club is in a worse financial position than any other in the country". As part of the deal to take over the Olympic Stadium, West Ham gave financial guarantees over the £95m conversion costs and the controversial £40m loan from Newham Council. Plans for retractable seating would add another £100m to the costs - with only £35m from the Government for keeping the athletics track, which means the equivalent distance of four double-decker buses between the front row of seats and the pitch. "All the debts are football or bank debts secured on the stadium and training ground so there is no route via administration," Sullivan admitted. "West Ham really is a football club where the football and bank debts exceed the value of the club." Value of the club. A phrase pregnant with meaning as never before has the discord between the ideal and the practical be so pronounced. What is left in the ruins of the fallen edifice are only vestigial traces of Greenwood's ethos; such as the untarnished Academy which continues to produce young players in the finest club traditions. In the face of the harshest economic realities the consequences of not securing results at all costs could lead to the ruination of the club itself. Although some die-hard fans may be sceptical about Allardyce's tactical approach, states Mafham, his record on a tight budget is second to none. Which is exactly what is needed with the West Ham board having already warned that, given the club’s debts, huge amounts of money cannot be spent to return to the top flight. What Allardyce offers is a record of delivering success with comparatively limited resources, agrees Burt. As he did when leading former club Bolton back to the top flight in 2001, beating Preston 3-0 in the play-off final at Wembley. The Trotters reached the Carling Cup final in 2004 and finished sixth the following season. After quitting Bolton at the end of the 2006-07 campaign, he was appointed Blackburn manager in December 2008, and took Rovers to a 10th-place finish in his first full season in charge. Allardyce also spent two seasons at Millwall as a player in the early 1980s, recalls Mafham, so is well aware of the Hammers’ history and traditions. Over the weekend, Allardyce confirmed that he had accepted the job of rebuilding the club after talks on Friday which continued on Saturday and yesterday morning. Lawyers acting for both sides are currently drawing up contracts for a three-year deal and Allardyce told the People: "Everything has been agreed in principle and I look forward to taking charge after I have had a family holiday. It’s always difficult dealing with the aftermath of relegation but I want to get West Ham back into the Premier League as quickly as possible." Allardyce’s decision to accept West Ham’s approach hinged on being able to appoint trusted No.2 Neil McDonald, as well as the backroom staff who will put into place his famed sports science support system that carried Bolton into Europe twice. McDonald, who worked with Big Sam at Bolton and Blackburn – has just turned down the manager’s job at Bury to leave him free to join the Upton Park revolution. Allardyce's biggest task will be to decide the futures of several high-profile players, thinks Burt, led by Scott Parker, who is expecting to leave in the next few weeks. Liverpool, Arsenal and Tottenham Hotspur have expressed interest in the midfielder who is desperate to preserve his international career. It seems likely that West Ham would want to sell Carlton Cole, who is wanted by Stoke City, West Bromwich Albion and Queens Park Rangers, and goalkeeper Robert Green, who has been linked to Aston Villa with Brad Friedel set to join Tottenham. Meanwhile, Everton boss David Moyes is in the race for West Ham free agent striker Demba Ba - but may be unable to afford his massive financial demands, according to today's Mirror. The hitman can quit the relegated Hammers after his brief stay this season, and Moyes wants to bring him in as one of three or four new captures. However, Ba wants a huge signing-on fee as well as top wages, and the figures involved may be too much for Moyes and his money-men to afford. Ba is also wanted by Newcastle and Sunderland, with his camp looking into what cash is on the table. So Sam Allardyce is set to become the latest in a series of short-lived managers at Upton Park, following Alan Pardew (2003-06), Alan Curbishley (06-08), Gianfranco Zola (08-10) and Grant (10-11), on the same day that in 1431 Joan of Arc was brought to the old market place of Rouen and burned at the stake for witchcraft and heresy. She remained the religious mystic until she died, claiming to the last her faith in the saintly voices that had directed her most of her life. Chained to the stake, she asked for a cross, which an English soldier made for her out of two small sticks. After all was over, Joan's executioner threw her ashes into the Seine so that no relic might remain. It took twenty-five years for Pope Callixtus III to examine the trial, pronounce her innocent and declare her a martyr. Let's hope the desciples of the Church of Greenwood are a more forgiving bunch. Afterall, heresy, as Graham Greene noted, is but another word for freedom of thought. Another very nice piece Trilby. I think West Ham fans have got to be realistic and accept Fat Sam is the very best we could've hoped for in our situation. He's certainly the first proper manager we will have had since Curbs. I hate long ball football as much as the next supporter but it's needs must at the moment. Is that Leonard Cohen? You have just gone up even higher in my estimations now. Great post, thanks. I am one of the pitchfork brigade who will not welcome Big Sam. I know there is an imperative to get promotion as quick as possible but it doesn't mean we neccessarily have to compromise our proud traditions of playing the right way. If we lose that then what else do we really have? Besides, QPR, Norwich and Swansea all play attractive football so it is no barrier in the Championship these days. First time visitor here...great blog! I'll give Allardyce a chance to prove me wrong but he is on short time. I've always hated the guy but if he becomes our man then I will temporarily suspend animosity; like I did with Bowyer and Bellamy when they wore our shirt. Joey Barton is the only one I can think of who wouldn't get that courtesy though. for now, yea Sam. 3 year contract. then Engerlund manager. Green, Parker and soembody else england related will realise and play us out of the chumpionship, cos they want to be his friend. All the while Di Canio, get swindon promoted, playing swashbuckling football, and takes the reins as Sam moves to international managment. I also get signed by West Ham, the first footballer signed in his 40's having only played park football. i also marry that fit bird that was in black swan. I am not the worlds biggest fan of Allardyce but we need to look at ourselves. We have been awful for three years now and haven't played the "West Ham way" in any of them. I also believe we need to toughen up as a team so I don't have an issue with it. As for what Major Morris said on Barton, I agree, but my biggest fear would be Big Sam getting Diouf involved - then I would have to burn my season ticket!